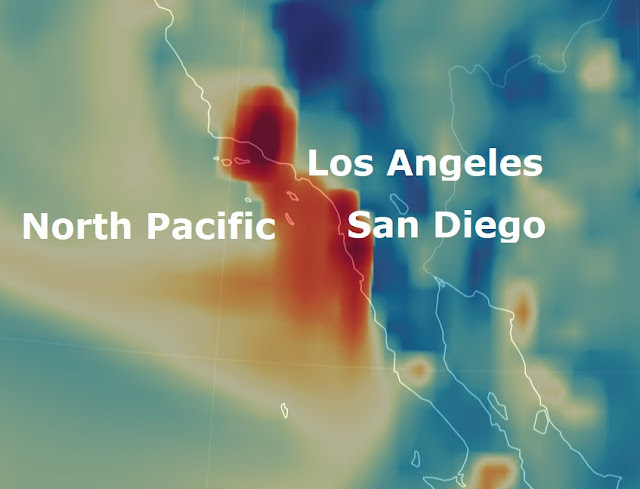 Earthwindmap showing PM 2.5 particles ejected from the California fires: PM 2.5 is a particulate matter about 30 times finer than a human hair. More than a quarter-million electrical customer across the South lack power after a snowstorm and could face a cold night as temperatures plunge. The number of outages is highest in Georgia, where utilities reported more than 90,000 customers lack power, mostly west and north of Atlanta. Another 68,000 are without power in the southern half of Mississippi, utilities say, and nearly 63,000 customers are without power in southeast Louisiana. Alabama Power Co. says 39,000 of its customers lacked power early Friday evening across a broad swath of the state, although numbers for smaller utilities weren't immediately available. Customers in hardest-hit areas might not get power until Saturday or even Sunday, utilities warn. Utility companies in Louisiana are reporting about 65,000 customers remain without power after snow and sleet hit southern parishes across the state. Outages began being reported Thursday night, into Friday morning as the worst of the wintry weather moved into Louisiana. But hazardous and icy conditions were expected to stick around until Saturday, making it difficult to do some of the restoration work. Entergy Louisiana, which listed more than 48,000 of its customers with downed power, said it expects to get 95 percent of the Baton Rouge area and its southwest Louisiana customers back online by midnight Friday. Other customers, including those in the area north of New Orleans near Lake Pontchartrain, could have restoration waits that linger into Saturday and Sunday, the company says. Thousands of people are without power in San Diego County, after strong Santa Ana winds prompted San Diego Gas and Electric to shut off power as a precaution. SDG and E began shutting off power Wednesday night due to critical fire conditions, initially affecting more than 1,000 customers in multiple communities. By 10 a.m. Friday morning, the utility company had cut power to more than 20,000 customers across the region, county officials said. The widespread outages occurred as the Lilac Fire burned 4,100 acres in northern San Diego County. Current conditions indicate that power may remain out for several days before it can be safely restored, according to the company. "SDG and E take its responsibility to safely operate the electrical system very seriously," the company said in a statement. "If conditions threaten the integrity of the system, creating an emergency, SDG and E will turn off the power to protect the public." According to SDG and E, the company considers emergency circumstances, temperature, humidity, wind speed measurements, field observations by SDG and E crews, and information from Cal Fire and other fire agencies when deciding whether to shut the power off for safety reasons. "SDG and E understand the inconvenience of shutting off power and will make every effort to restore service promptly once it is safe to do so," the company said.